Ready for your free case evaluation? Contact our Hilton Head Island, SC personal injury law firm today at 800-996-0683. Serious injuries from a car accident can result in large medical bills, lost wages, pain and suffering, and other such expenses. If the person responsible for the accident is uninsured or does not have enough insurance to compensate you for all injuries or “damages” suffered (underinsured), you may have other options to receive an accident settlement. Injured people may not be aware that coverage may exist through their own insurance company or through other family members they live with. This uninsured and underinsured coverage may provide compensation without having your insurance premiums increase. Attorney Dustin Lee of Lee Law Firm is experienced in finding all available sources of insurance coverage that can help you with your injuries and your recovery. The firm recognizes that quick and decisive investigation is needed in the handling of uninsured or underinsured claims to protect you and make proper and timely notice to your insurance company. If you or a loved one has been injured in a car accident where the negligent party was uninsured or underinsured, call South Carolina injury attorney Dustin Lee at 1-800-996-0683 for a free consultation. We at Lee Law Firm, LLC are here to help you and your family following a South Carolina car crash. Contact our team and experienced Hilton Head Island car accident attorney right away at (800-996-0683) for assistance after a car accident. Lee Law Firm, LLC serves accident and injury victims throughout the state of South Carolina, including Hilton Head Island, Bluffton, Okatie, Hardeeville, Ridgeland, Beaufort, and Walterboro. Attorney Advertising. This web site is designed for general information only. The information presented at this site should not be construed to be formal legal advice nor the formation of a lawyer/client relationship. The hiring of an attorney is an important decision. The information you obtain in this website is not, nor is it intended to be legal advice. This website is designed for general information only. The information presented at this site should not be construed to be formal legal advice or the formation of a lawyer/client relationship. You should contact an attorney for individual advice regarding your situation. 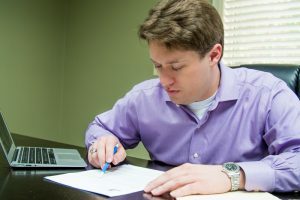 Dustin Lee, Esquire, is a licensed South Carolina attorney with a primary office on Hilton Head Island at 37 New Orleans Road, Suite V (Orleans Plaza).